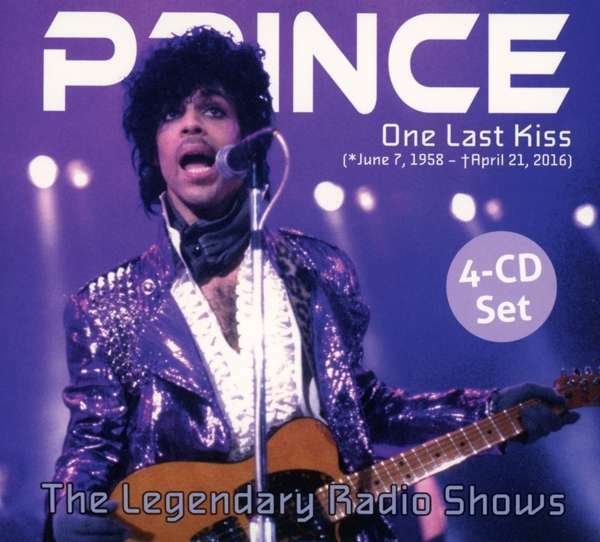 Der Artikel Prince: One Last Kiss: The Legendary Radio Shows wurde in den Warenkorb gelegt. 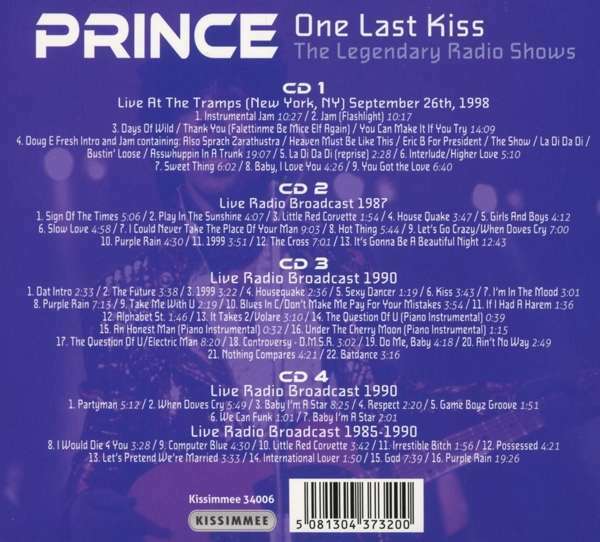 On CD 1 you listen to a phenomenal party jam, recorded for radio, with Prince and his New Power Soul Festival band and friends into the wee hours at Tramps before an intimate club audience. Iconic funk bassist Larry Graham and saxophonist Jerry Martini are also on board (both ex-Sly & The Family Stone), and Chaka Kahn and rapper Doug E Fresh, as well as several other musicians also join in on the fun. The set can loosely be divided into three sequences. The first half hour focuses on hot funky jamming, followed by Doug E Fresh and Marva King vocalizing during an extended spontaneous medley and concludes with a soulful retro vibe featuring Chaka Kahn. Hörprobe Track 18: Controversy - D.M.S.R.